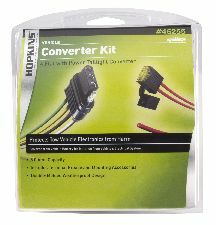 Showing 1 - 2 of 2 Products for Trailer Wire Converter. Many of today's vehicles do not possess the electrical means for powering the extra voltage requirements of a trailer. Power Taillight Converters units completely isolate the tow vehicle from trailer malfunctions. Power is taken directly from the battery for isolation and brighter trailer tail lights. 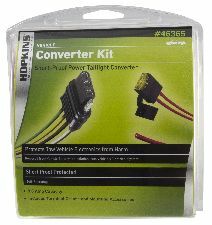 The Short-Proof Power Taillight Converter is also a self-resetting power converter that will reset after the short has been fixed in the trailer wiring, providing extra protection for the vehicle wiring. Many of today's vehicles do not possess the electrical means for powering the extra voltage requirements of a trailer. Power Taillight Converters units completely isolate the tow vehicle from trailer malfunctions. Power is taken directly from the battery for isolation and brighter trailer tail lights.